Mountain West Financial incorporates the latest technology to get the job done for your clients – but did you know that we also have many exclusive programs? We work hard to bring the best options we can to the table for your clients and, as a result we have been able to cultivate exclusive programs that have excellent benefits to our clients. One of our shining stars is our PATH program as our special way of saying “ thank you “ to those who serve our local communities. It offers reduced rates, lender fees, and a free float-down option. PATH eligible clients include, but are not limited to: police officers, fireman, teachers and more! 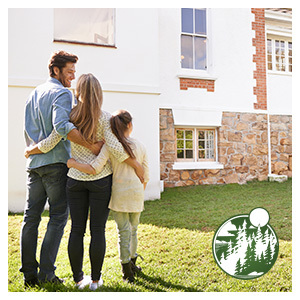 Your clients can also lock in a rate while they are looking for a home with our House Hunters program. This protects against the volatile interest rate market allowing your client to lock for 30 days without a property. Then the lock will reset for another 30 days once the purchase offer is accepted. We also offer our HomeSteady program, which saves your clients from having to pay MI with as little as a 3% down payment. They can also use grants, gifts, seconds or cash-on-hand for their down payment. As you know, our passion is helping people achieve their dream of homeownership, as a result we are a leader in affordable housing solutions! We are approved with over 140 different Down Payment Assistance programs. These are only a couple of our options, contact me today to find out about other exclusive programs that we offer!